Citric acid, Natural and artificial flavors, Malic acid, Sucralose, Acesulfame-k, Maltodextrin, silica. FOR MAXIMUM PERFORMANCE AND HYDRATION BENEFITS, MIX (1) SCOOP OF BREACH WITH 8-10 OUNCES OF WATER AND CONSUME BEFORE, DURING OR AFTER YOUR TRAINING. FOR BEST RESULTS, CONSUME (3) SERVINGS PER DAY. ON NON-TRAINING DAYS, CONSUME (1) 1 SERVING UPON WAKING. KEEP OUT OF THE REACH OF CHILDREN. This product is intended to be consumed by healthy adults 18 years of age or older. Before using this product, seek advice from your pharmacist or physician. Avoid using this product if you have if you have any pre-existing medical condition including but not limited to: high or low blood pressure, cardiac arrhythmia, stroke, heart, liver or kidney disease, seizure disorder, thyroid disease, psychiatric disease, diabetes, difficulty urinating due to prostate enlargement or if you are taking MAO Inhibitor or any other medication or supplements. Do not use if you are pregnant or nursing, prone to dehydration or exposed to excessive heat. Discontinue use and consult your healthcare professional. 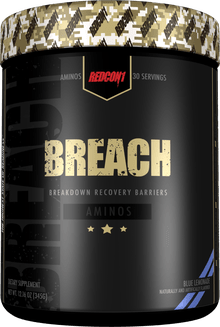 This is where Breach takes the lead on muscle growth and repair. 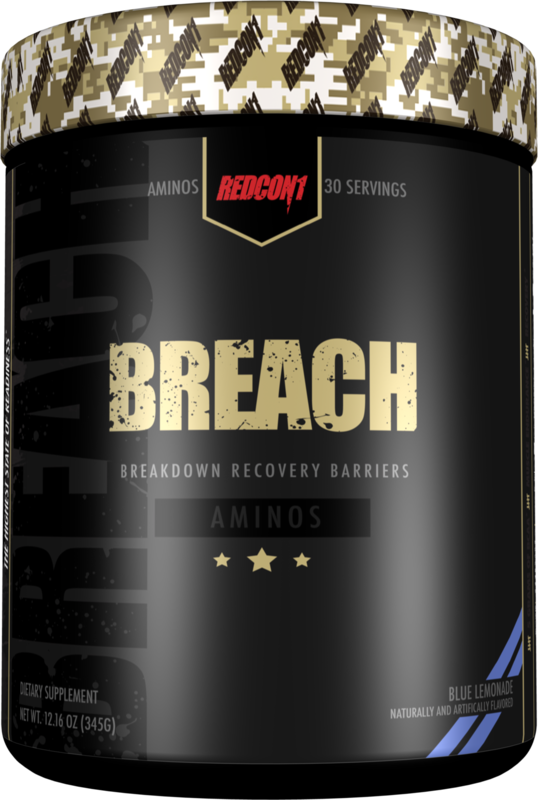 Alongside the BCAA's found in Breach we included a vitamin and electrolyte mix so you stay hydrated and utilize Breach as an all-day muscle building and hydrating sports drink.